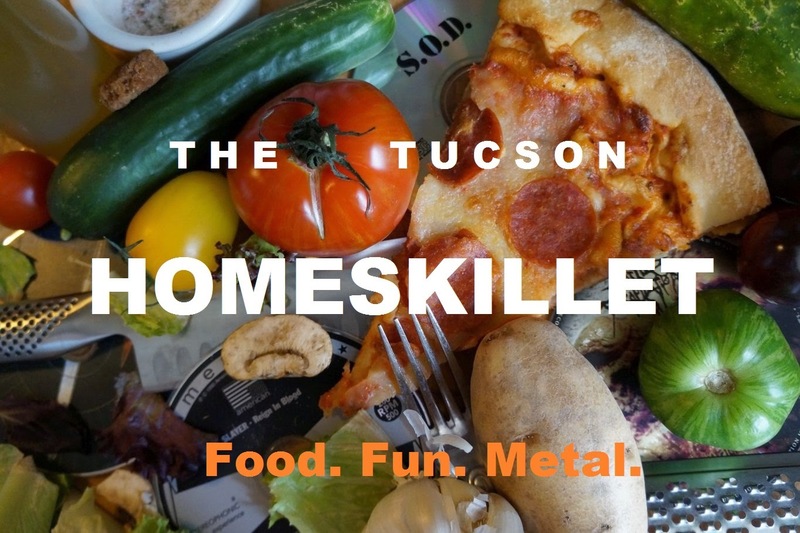 The Tucson Homeskillet: "A Dumpster Fire Wrapped in a Tortilla"
"Did you hear that Gene Wilder died?" "What? No. Crap. Man, he was amazing. What memories. 'Young Frankenstein'. 'Willie Wonka'. 'The Producers'. 'Stir Crazy'. 'Blazing...'"
"You know what? 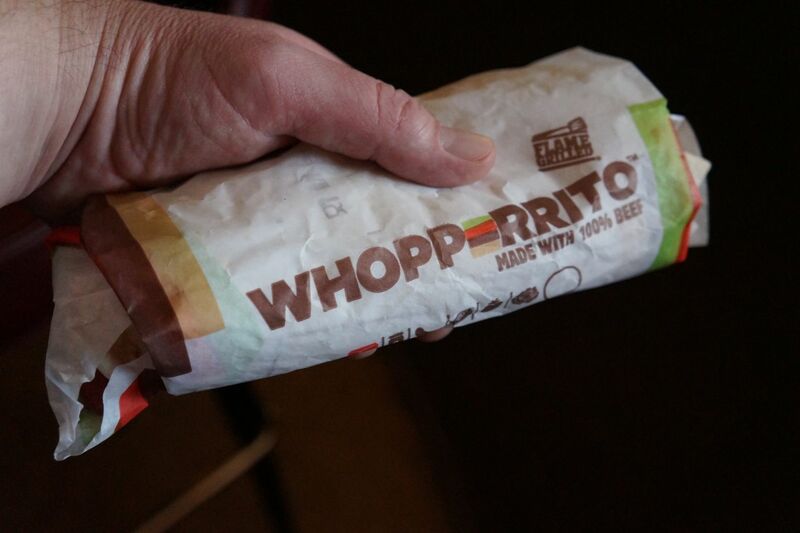 They now make a Whopper as a burrito." 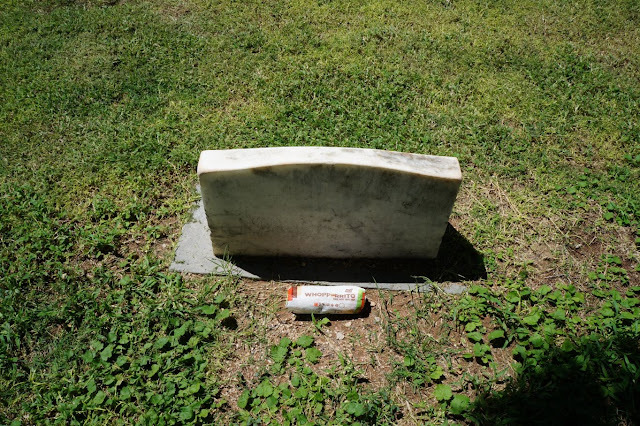 "Well I guess we can't grieve forever..."
(What you are about to read are the strained notes and recordings of a very harrowing 24 hours. This is all part of the Tucson Homeskillet eating a fast food mega-conglomerate's version of one of their signature beefy sandwiches turned "Mexican". Yes. Spiced burger meat with lettuce, pickles, onions and some kind of cheese drool wrapped in a gummy tortilla and served up for like $3 or something. We lost count of the cash. Because we have none. We lost count of the amount of drippy tube woe we ordered. Because we went a little insane. Please read with caution because things kind of got ugly. And greasy. And somehow nearly got one of us deported. But for those brave enough, please enjoy and endure our descent into a flame grilled, made with 100% beef hallucination. One that can only be described as: 'Iffy'. Now sit back, relax and pray for those that barely made it out without the aid of Zantac and a priest. "These things are kinda big." "I dunno. Four bucks or something. Each." "Me too buddy. 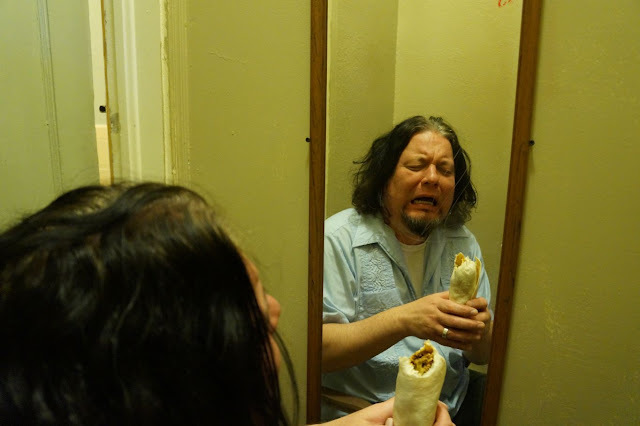 Me too..."
"Tastes like a dumpster fire wrapped in a tortilla." "Yep. Sorta like a Wilford Brimley pap smear." "I get the Whopper thing but...that aint burger meat. No idea what that is." "Could be. 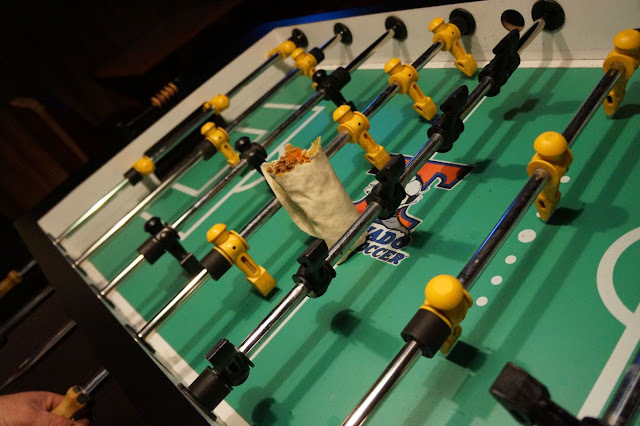 Like hockey nacho squeeze gone seriously rogue. Good thing it comes with a salsa." "Are we, you know, gonna be....okay?" "Well...what do we do now?" "Things are not going our way I'm afraid." "Absolutely. Like Selena Gomez is crawling up my leg right now. I think she...wants something." "Too late now. Better cave in to her demands. It's for the best you know." "I think she wants some sort of Satanic ritualistic sacrifice. Is that...true?" "Dunno. 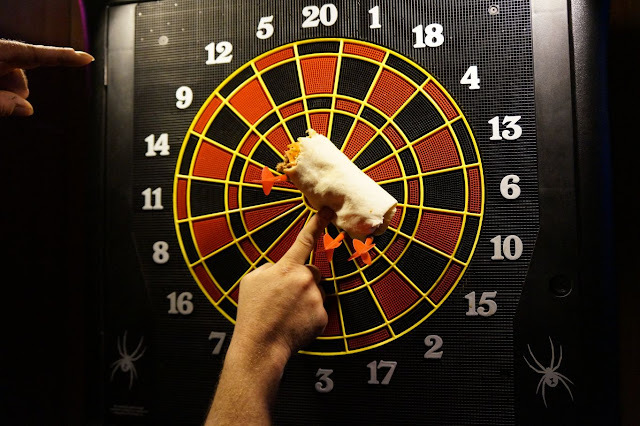 You wanna play darts?" "What possessed them to make the Whopperrito in the first place?" "Not too sure. Same goes for Mount Rushmore. Nothing like desecrating sacred land with honky propaganda. Say, I can't feel my thumbs!" "Yeah but how many times have you seen 'Beverly Hills Chihuahua'?" "Is there a number that can climb that high?" 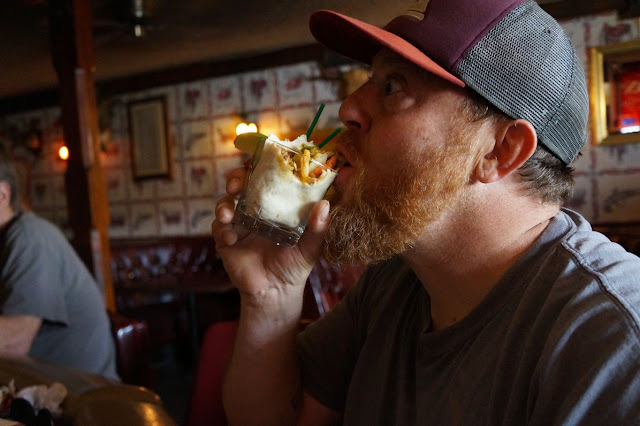 "Did you just make a cocktail out of a Whopperrito?" "It's what the King would want." "That's the cheese ooze terror talking. You know he's shacked up with Salman Rushdie and Marilyn Monroe in Jersey right? He can't be here." "Twenty six grams of fat, almost two grams of saturated fat, seventy five milligrams of cholesterol, fifty nine grams of carbohydrates and well over one thousand milligrams of sodium!" "So would you ever order one of these things again?" "I can't even see my shoes. What kind of question is that?" "I heard a bunch of people like this thing. Why is that?" "Nickleback has sold millions of albums. Competitive vaping is a thing. Ann Coulter. It's just, well...part of our landscape. It's just..."
"Whoa! What the heck is that?" "Huh. Never thought about it. 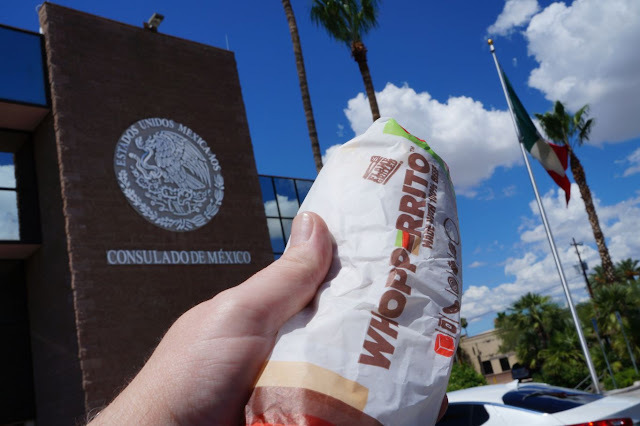 The summoning rift between our reality and that brought on by the fact that we ate Whopperritos without any inclination of consequence or thought to what we might do to the ensuing churn of possible human plight due to our gluttonous disposition." "You ready for another one?" "Um. Sure. But first, lemme..."
"So....what do we do now?" "There's only one thing really." "You mean? No! 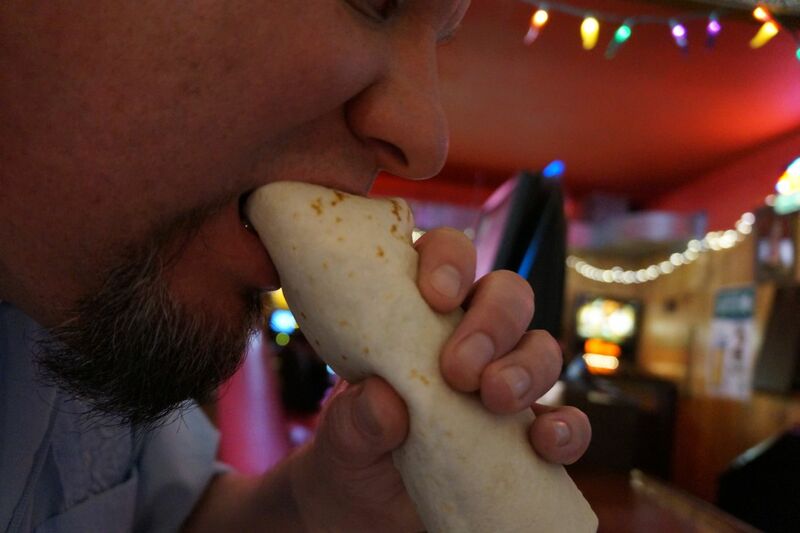 You can't mean...."
"There can be only one that can explain all this tortilla wrapped insanity." "Word. And the tortilla isn't even that good. It's all chewy and mass produced. Not a good accompaniment to..."
"SILENCE! 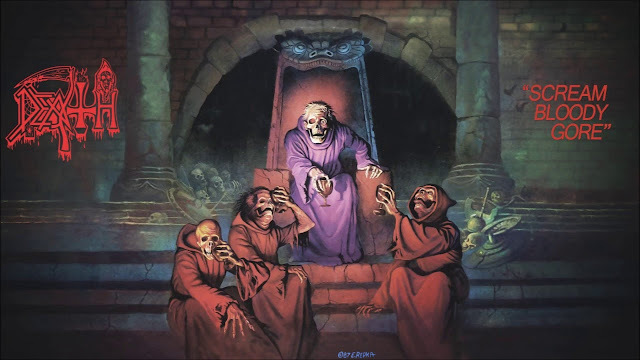 We must now consult with the almighty master of wisdom and bad food authority." "Yes. We must seek out the advice and guidance from none other than...Lil' Poundcake!" "You must go to the Mexican Consulate and seek redemption. 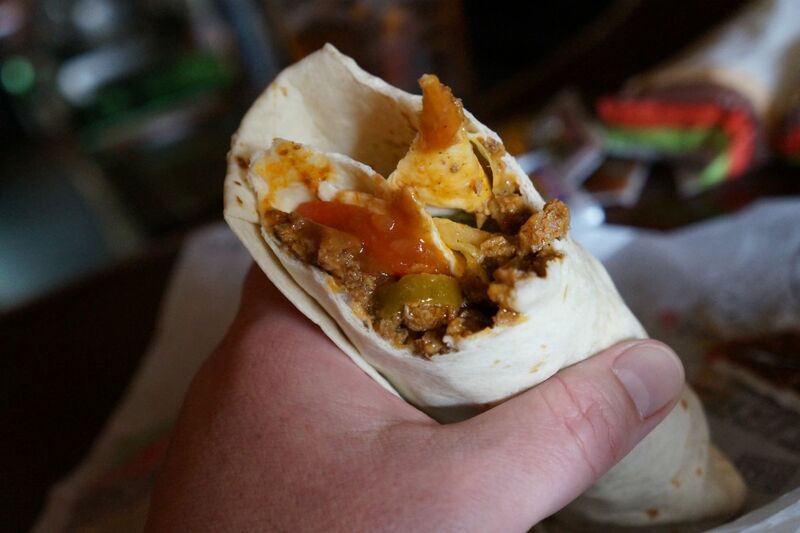 This is my mandate and it is the only way to achieve true vindication of such heinous crimes against the burrito universe." "But...it's not my fault. I just ate the stupid thing." "You will then get me tasty fishy treats and rub my belly for an hour. I will love it but I will show you displeasure by biting your hand whilst you rub. But if you stop, I will only look at you as if you are some kind of monster. And then! When you begin to rub my belly again, I will kick at you with my hind legs trying to throw you off." "But....why? Why oh fluffy empress who occasionally poops in the hall?" "It is a puzzle wrapped in a enigma then wrapped again in a riddle then packaged in a quandary and then shipped off to the island of seriously-what-the-fxxk." "On behalf of all guilt ridden and slightly privileged Caucasians, please allow me to extend our deepest and most sincere apolo..."
"Hey man. It's not my fault. You see, my cat, Lil' Poundcake, had very firm, very direct instructions for me to..."
"I....I have failed you, oh wise and...fuzzy master..."
(It was at this point that things got blurry. The line between reality and the severely battered subconscious grew dimmer and dimmer. 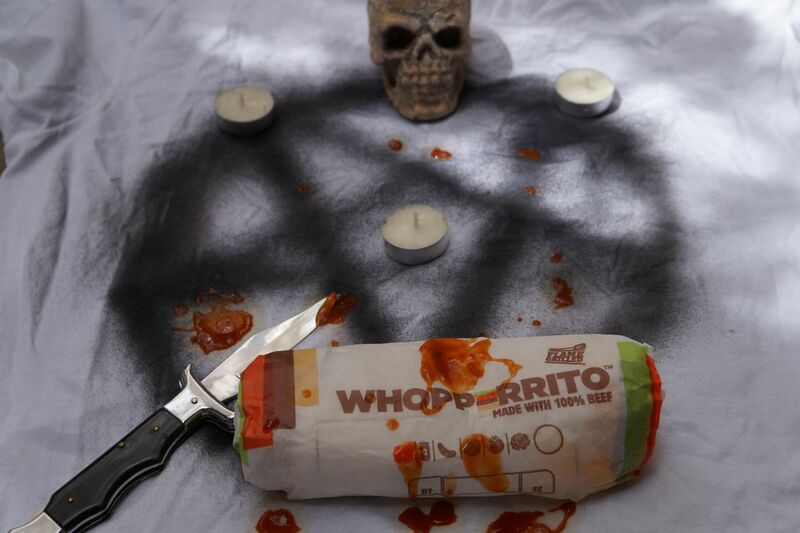 The Whopperrito had won this battle but thanks to some fans of the Tucson Homeskillet, and the advice of a spectral Selena Gomez, a dark ritual was performed and redemption came in the form of an altar of sacrifice, banishing the forsaken fast food menu item to the deepest dimension of spicy beef hate and tortilla wrapped torment. So let this be a lesson of warning to you dear food blog reader: Proceed unto the drive-thru with extreme caution. 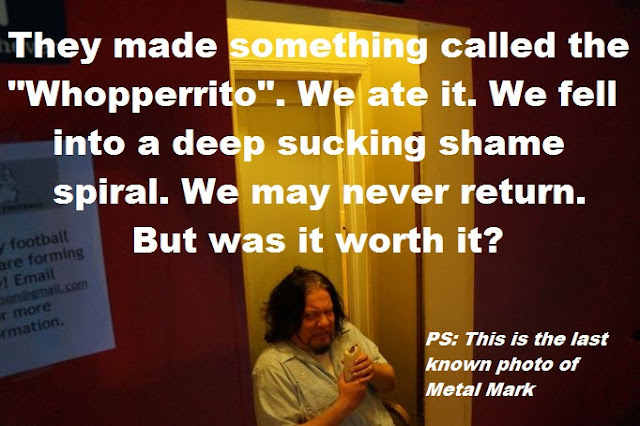 We did not fare well with this challenge so with a bit of luck, an iron stomach and taste buds that have long been put to pasture due to stupid food trials such as this one, you might do a bit better than the recent victims here did. Or just skip this crap all together. 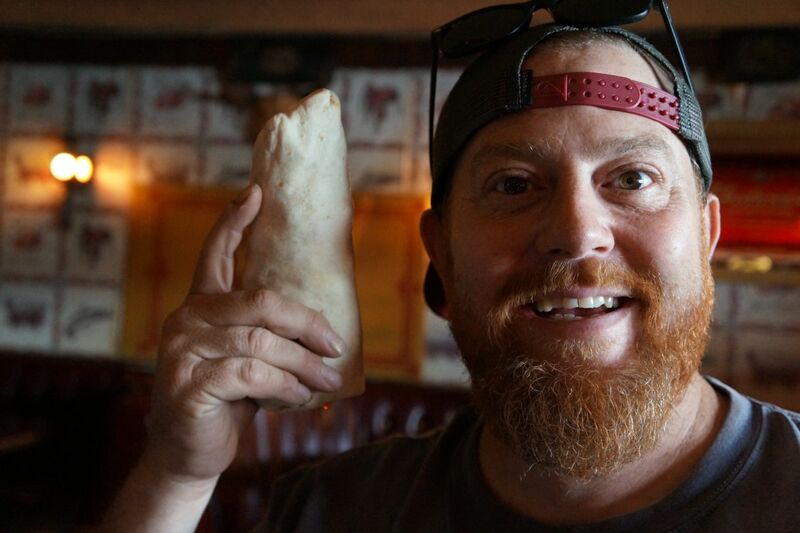 There are a lot better options to get your burrito fix in. Just saying. Back to the realm of shadows with you! P.S. : No toilets were harmed in the making of this blog. Just kidding. We destroyed a couple. Just kidding. A ton of toilets were laid to waste. I think I am glad it was you *** not me *** who tried this ... 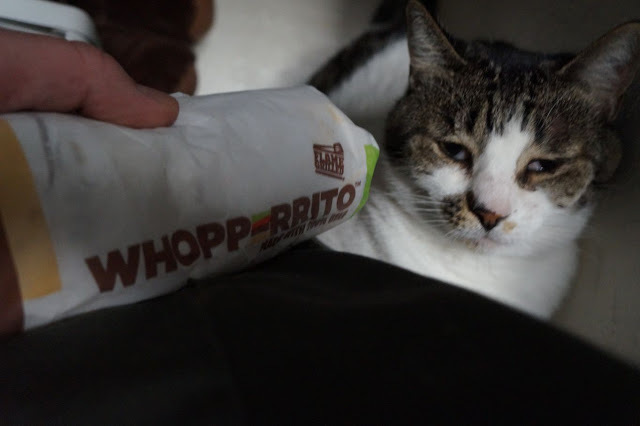 I am good to live without a taste of that Whopperito!